12ft Wide x 8ft 4in High Rustic sandstone rocks fit together to create this rock wall mural. Perfect for adding a rustic lodge feel to any room in your home. This wall mural rocks! 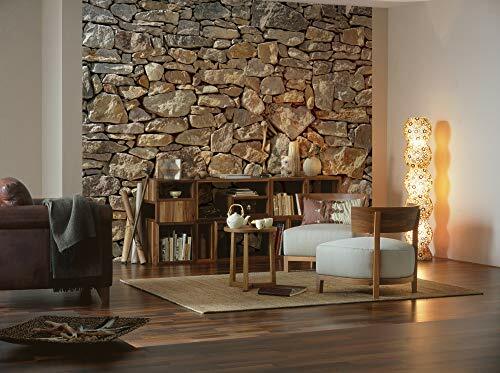 Invite the indoors in with this chic stone mural, creating a photo-realistic detail that is large enough to cover an entire wall.